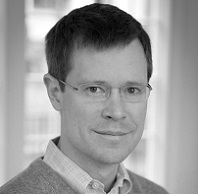 Congratulations go out to Gregory A. Huber who has been newly appointed to a named professorship at Yale University: the Forst Family Professor of Political Science. Huber also serves as a Resident Fellow at the Institution for Social and Policy Studies (ISPS), Associate Director at the Center for the Study of American Politics (CSAP), the Director of the ISPS Behavioral Research Lab, and Associate Editor of the Quarterly Journal of Political Science. Greg Huber began his career at Yale in 2000 after completing a year-long Robert Hartley Fellowship in Governmental Studies at the Brookings Institution in Washington, DC. He holds B.A. and M.A. degrees in Political Science from Emory University and received his Ph.D. degree from Princeton University in November of 2001. Greg Huber’s research focuses on American Politics, and is “motivated by a desire to understand how the interactions among the mass public and elites, political institutions, and policies explain important outcomes.” Drawing on multiple methodologies, his recent work has explored questions about the legitimacy and consequences of the criminal justice system, political partisanship, social norms, and citizens’ beliefs about government and participation. Link to the Yale News article to read more, or go to Greg Huber’s website at this link.